Don't miss your opportunity to own this beautiful Single Story located in the Highly Desirable Vintage Highlands Community! Pride of ownership shows throughout this very well maintained home. Located in a Private corner lot on a Cul-De-Sac street, this home has everything you are looking for to create lasting memories with family & friends including Remodeled kitchen & bathrooms, Dual Pane Windows, Large Family room perfect for entertaining, Spacious private backyard and much more! 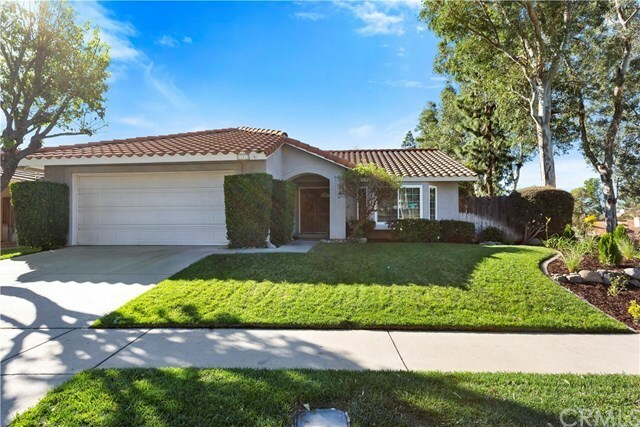 Located North of the 210 Freeway and within the boundaries of Highly Rated Schools! Conveniently situated within close proximity to Schools, Walking/riding trails, Shopping, Freeways, Entertainment, Senior center, Parks and Much more! Lower taxes and NO HOA make this an incredible value!